Very often, in fact as a rule, resorts focus so much on props and providing that jaw dropping experience, they completely forget that food and beverage also had to be a part of that experience. Menus, even at the best of resorts, are almost an afterthought with dishes added just to fill in blanks. Their offerings are all over the place with Continental salads, an American burger, Indian curries and dosas and Southeast Asian picks. I visit Goa at least once a year. The reason I would book a resort property in Goa is because I may not want to step out for the shack gig. After initial hippie outings in Goa where one hopped from shack to shack, I want at least my Goa break to be less hectic. 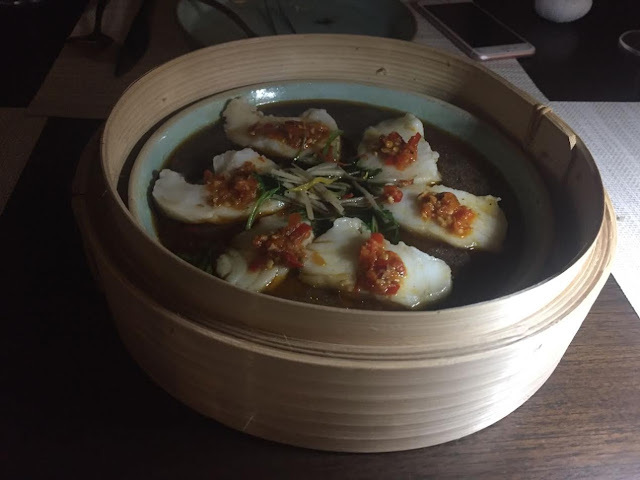 But despite staying in fabled resorts, one had no option but to head out, as frankly the food served at resorts at exorbitant costs were not enticing enough. And frankly, you can’t just live on brilliant views the resort offers. You need to eat too. Focus on food is what sets W Goa apart from most if not all the resorts in Goa. Having a young talent Tanveer Kwatra is a testament to their focus. They could have easily settled for a famous name or a Masterchef contestant and got it all wrong. But they chose to invest in a culinary talent and back him is what will eventually make W Goa the destination within the holiday destination. W Goa boasts of Woo Bar and Rock Pool that are more of party spaces and diners The Kitchen Table and Spice Traders. An avid traveler himself, Tanveer knows what fellow journeymen want. It is at these diners that you get to experience Tanveer’s culinary talent. His food selection and preparations are as interesting as the travel tales he narrates with every dish. His cooking has been influenced by his stint in Australia, India and frequent travel to Southeast Asia. We got a firsthand feel of his fare when we dined at Spice Traders. “I travel to eat out a lot,” he said as he introduced himself. For someone wary of resort food, this was the best thing one could have heard from a chef. I knew the guy in-charge of my meal knew what a traveler wants. Almost as if he read your mind, pat came his next line, “My motto while menu selection is that no diner should be left out.” We knew we were in safe hands. What followed was one of the most memorable meals and easily my best feast in Goa. From beautifully plated tuna truffle tostada, enticing crispy enoki, innovative bamboo charcoal grilled wasabi prawns and crispy spinach rice to amazing Chilean sea bass Hunan style, each dish was one better than the previous. 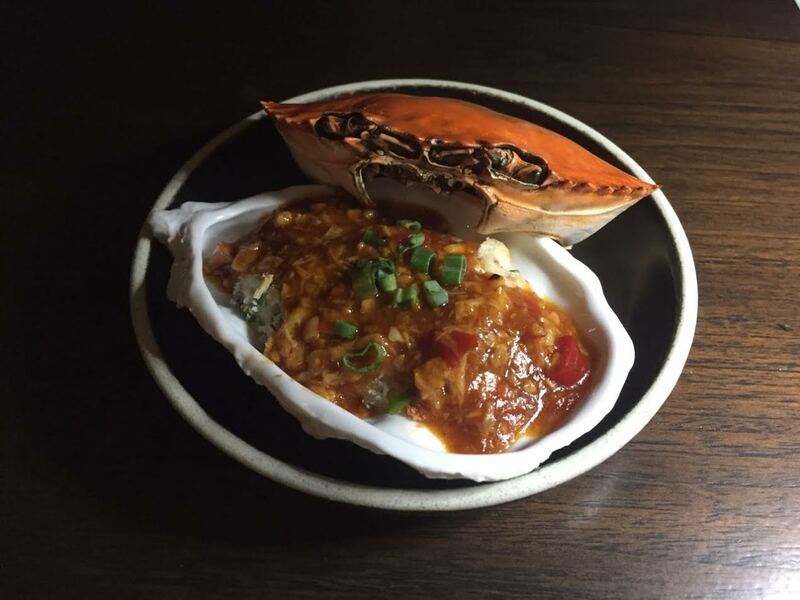 His awareness of diner comforts was reflected in simple tweaks to popular dishes such as Singapore chili crab. For a crab meat lover, this dish was like digging your spoon in a gold without having to worry about the shells! “Everyone has heard of Singapore Chilli Crab but very few order it due to hassles of taking out the crab meat. I decided to do that for the diner so that all they have to do it dig in the meat on their platter,” says Tanveer. Even though each dish was a masterclass, Tanveer didn’t claim to be ‘inventor’ of any of them. Every dish had his humility and warmth written all over them. “All these dishes are a result of learning and inspiration I have sought from chefs across the globe. These may have my personal touches but I have no false claim over any of them,” he explained. 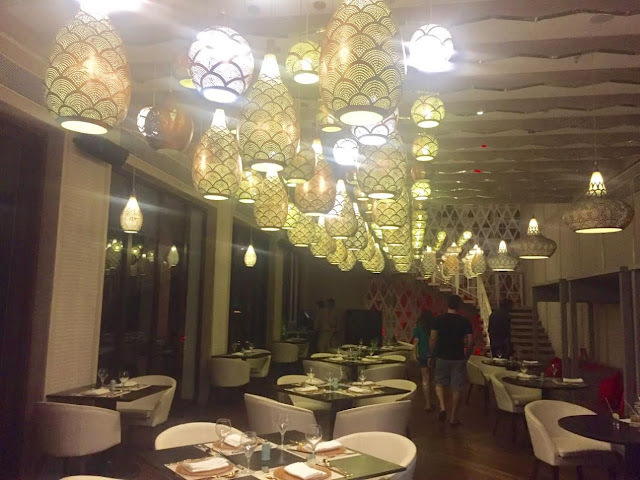 We wolfed down his fare with red wine sangrias and rounded off a fabulous feast with orange cake and a selection of crème brulee with a promise to dine again at the other outlet and not step out of the resort next day to nearby eateries as we had initially planned. 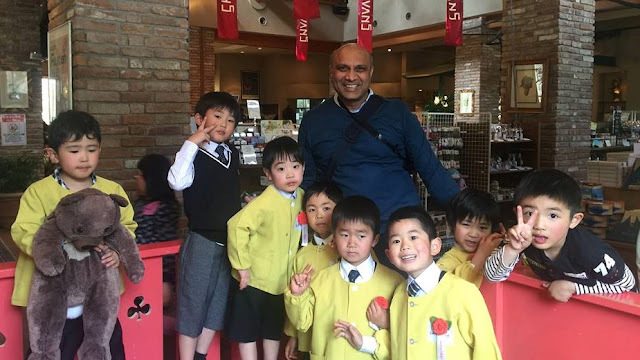 If the fond memories of food the night before at Spice Traders were not enough, Tanveer was set to better our experience at lunch at The Kitchen Table. 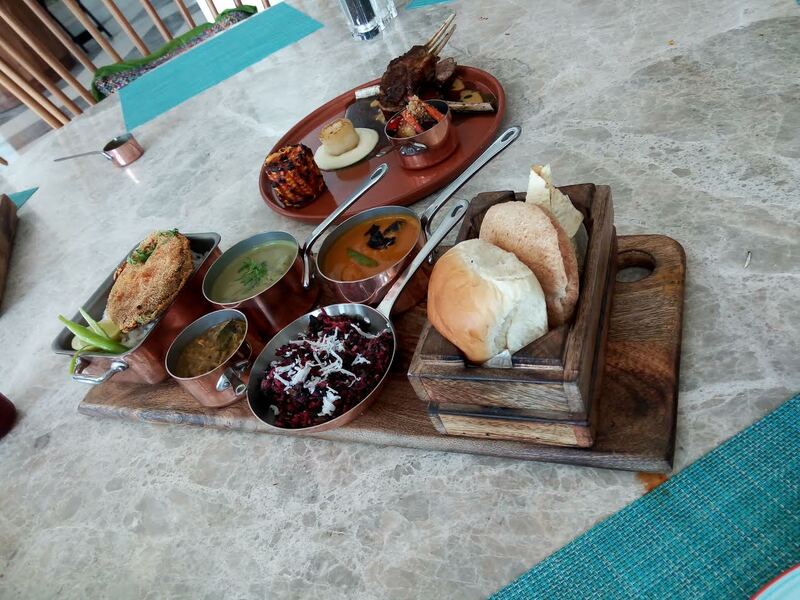 Our lunch started with soups and salads and roasted veggies quinoa salad with sour curd and pumpkin cappuccino soup were perfect starters for a meal on a lazy Sunday Goa afternoon. Explaining the idea behind his dishes, Tanveer elaborated that while everyone’s busy getting their molecules right, he would rather focus on basics. “We are so caught up with molecular gastronomy, we’ve forgotten how to get even the basic Caesar salad right,” asserts Tanveer. The salad was followed by shakarkandi ravioli, twice cooked lamb rack and the star of the day — The Goan thali — assortment of Goan curries and dal to be had with sol kadhi. 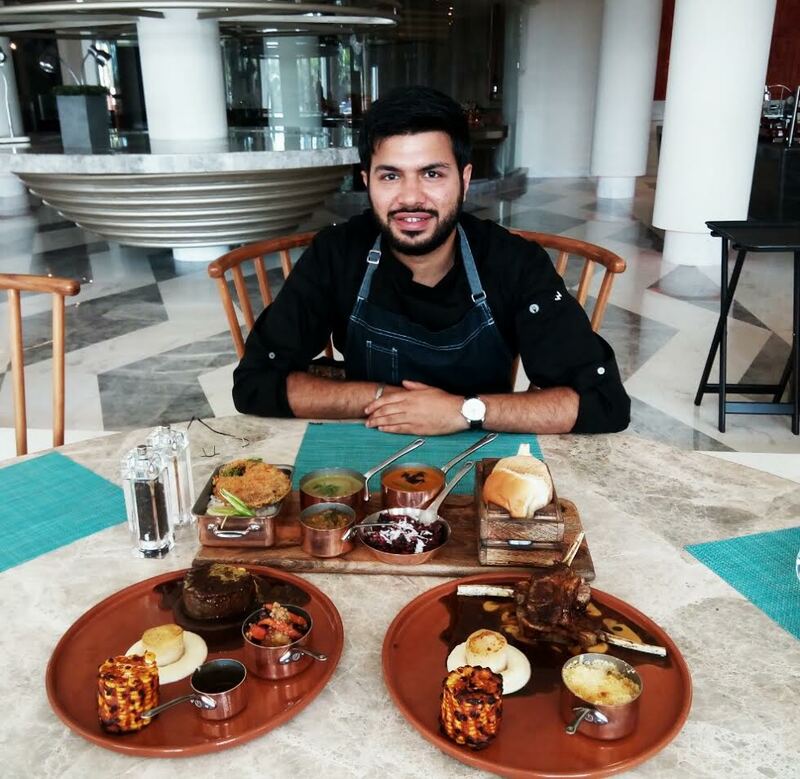 By now, being truly bowled over by his culinary skills, humility and the zest to serve his guests nothing but the best, we could not help asking him reasons for his dedication and evolution as one of the finest young chefs in the country. “Melbourne made me a chef,” he replied. After having feasted on his brilliance, I will just like to conclude by saying Melbourne might have made him a chef, but Goa will make him a star. I won’t be surprised to see tales of him as one of the finest young Asian cuisine exponent of the country travel far and wide and we see Spice Traders and The Kitchen Table open in other cities too.